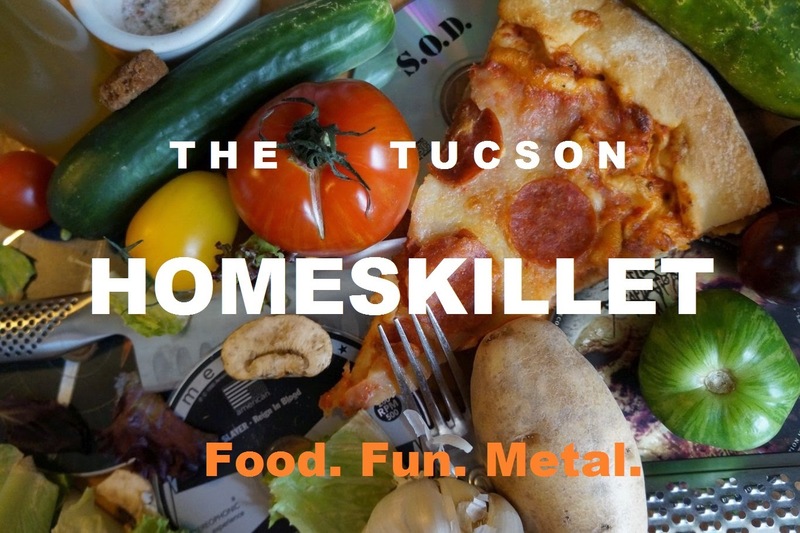 The Tucson Homeskillet: Wait...That Place Closed Down? A decent restaurant opens up, you go there now and then, it gets better with time, you get to know some of the staff or even the owner, you have that go to dish after a rough day so you call up to place an order but....nobody answers. That's strange. You were just there the other day...or was it a week ago? Maybe two? I mean, they always answer the phone. Maybe their phones are down. Better just drive over there to order in person. I'll have a drink while I wait. Then you get there and...it's closed. The place is dark, the doors are shut, no cars in the parking lot. But, its Friday at 6pm. This is prime time. What gives? You go online only to find their website is down. That's weird. Better check Facebook. Thank you everybody! It's been a good run but we had to shut down for good. When you like and give business to a restaurant for a good amount of time only to have them shut their doors, you kind of feel cheated a bit. Right? Unfortunately this is a common occurrence in the restaurant world; sales falter, costs go up, rent doubles, you gotta shut the doors before it gets any worse. But you were really craving that seafood dish. Ugh! Why didn't they say anything? Driving across Tucson we came across a good amount of abandoned shells of once busy restaurants. This got us to thinking about why they closed and how we feel about them closing. Some we will miss and some we will...uh... Meh. So here are just six of the one's we wanted to address. And, believe us, there are a lot more just sitting there kind of rotting in the Tucson sun, but we will get to those later. We totally saw this one coming. When Cali Grill first opened its doors a few years back, we were excited to find that it was a casual Vietnamese restaurant and not a trying-too-hard "California cuisine" place. The food was good and after being in business for a while it actually got better. We loved their pho and their spring rolls were really tasty. But it was usually empty. Like on a Saturday night there would be, maybe, a couple seated in the back and, maybe, one dude at the bar. Not good. This went on for quite some time and the last time we were there it did not go well. It was a Saturday night and, as per usual, the place was empty except for these piles of dirty plates and used bowls just sitting on table tops. It appeared that they might have had some business earlier but whoever was on the floor that night just didn't get around to bussing them. Thing is, there was only one guy on the floor. And, apparently, he was the cook that night too. Yeah. This weird kid that looks like he plays way too much Skyrim not only was the server but was also the 'chef' as well. We placed a small order, he took it then went in the back and started to make it. And it took forever. To make the experience all the more odd one TV was on playing some bad sci-fi movie, no music was on, a light was flickering in almost strobe-like eeriness, the air was off, it was stifling (this was like in mid-July) and some of the un-bussed dishes were starting to attract flies. Gross. Unfortunately the food was actually pretty good but when the place went dark a few days later we were not shocked in the least. Thing is they re-opened in the Tucson Mall under the new name Saigon Vietnamese Restaurant. And they deliver! Maybe that spotty kid who took our order and then cooked our food is the new driver. Maybe he answers the phone, then cooks it then drives it over. Wow. That kid is amazing! There are far better Vietnamese restaurants in Tucson anyway so...whatever. Not a huge loss. But good luck to them with their new location. We might have to check it out. Here's the thing: We totally thought this place would make it. When a fairly successful Italian restaurant decides to open a "fast casual" concept in mid-town serving paired down versions of their upscale dishes with prices to match, you'd think it would do well. If you remember we did a feature on Orenccio's a while back when they first opened up, and we liked what we ate. The sandwiches were decent, the pastas were tasty and the caprese salad was up there with some of the best in town. Really fresh and fairly delightful. Then one day....boom. Closed. Like, um...okay. Upon closer inspection we saw that the property management had seized, seized!, any and all equipment on premises and warned that if they return they will be trespassing. Dude, Orenccio's was only open for like a month. What kind of sick damage did they do in that short time to warrant a seizure of equipment and threaten with a trespassing citation? No clue. Investigating online has us turning up zilch. 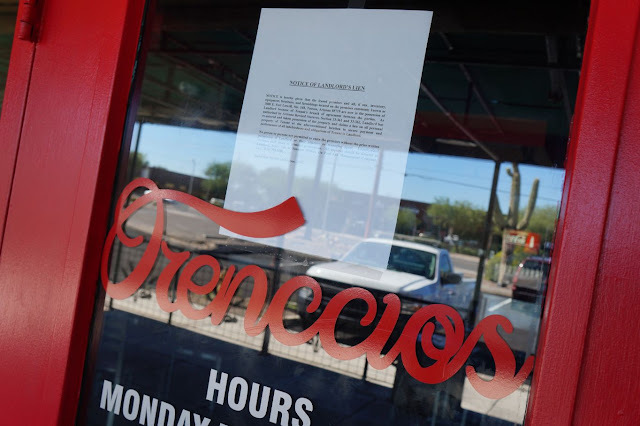 So, bye Orenccio's. That was...fun? We love delis. We love delis so much that we often go back to ones that really don't do it for us but are compelled by the trance of cured sliced meats, soft bread and strong cheeses. Ted's Country Store was kind of like that. It was...okay, it had its moments but there are way way better delis and specialty markets in this town. One thing though...was their bisque. Oh man, we will definitely miss their lobster bisque, a special they ran on just Fridays or something. It was one of the best cream based soups we have ever enjoyed. Rich, flavorful, tangy, bright, supple and oh so good. That is the one thing we will mourn about Ted's. 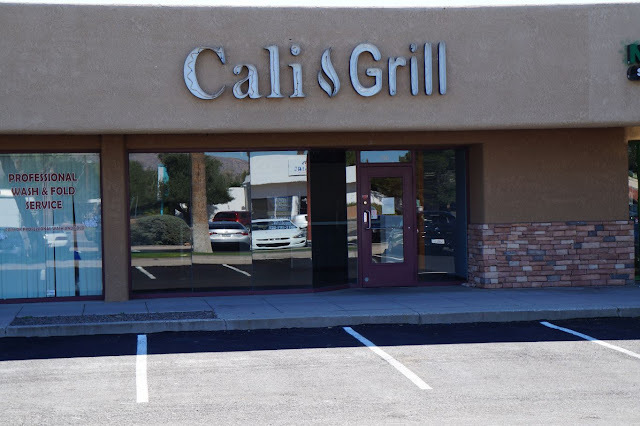 Thing is, kind of like Cali Grill, it just sort of went downhill. The last time we were in there they had a decent meat selection but there were no signs and no prices in front of them indicating anything. So we had to guess. "How much for a pound?" *thinking* "Um...let's say seven bucks." Plus their inventory of specialty items such as imported oils, canned olives, sauces and such were all but gone. Their once stocked beer fridge was empty. No customers sitting and enjoying a sandwich on their patio. So I had to ask how things were going. "Really good," said the guy behind the counter. "In fact we're clearing out a bunch of stuff to make room for new inventory. 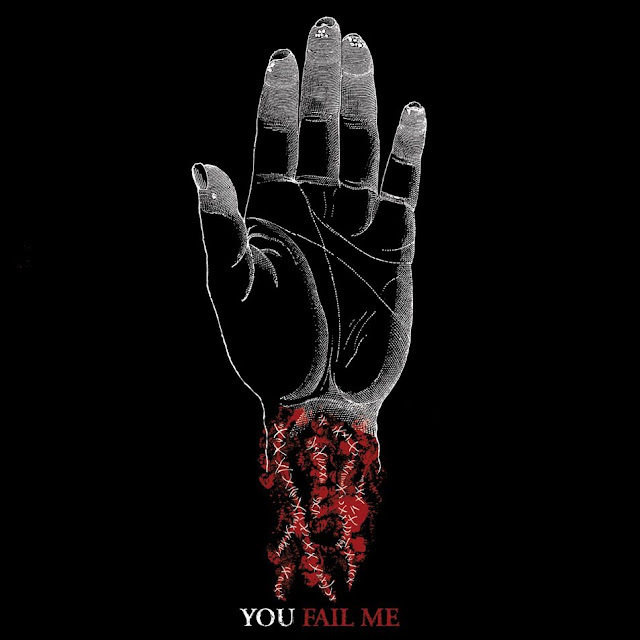 Keep checking in to see what we got." We did. Closed two weeks later. In its stead is the Drawing Studio and their parking lot is pretty full most days. So that's kinda cool. But we're not an art blog, its all about the food here so not being able to get their lobster bisque on Fridays kind of stinks. And we did enjoy a sandwich from them; always fresh and always on point. But yay to cool art classes at affordable prices. This is a sad tale of when the little guy gets pushed out by the bigger boys. 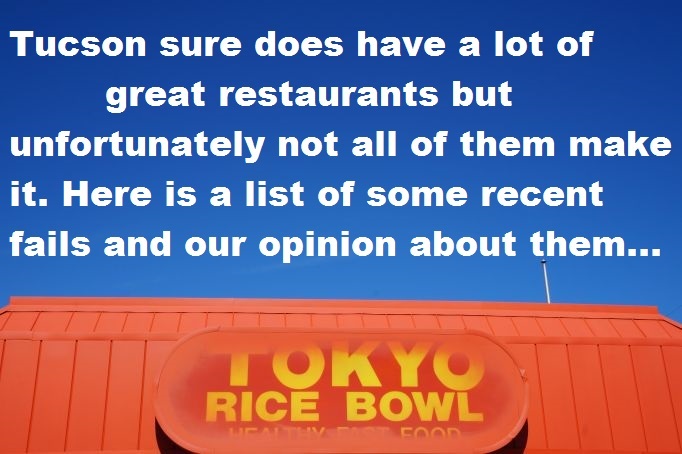 Tokyo Rice Bowl was killer. 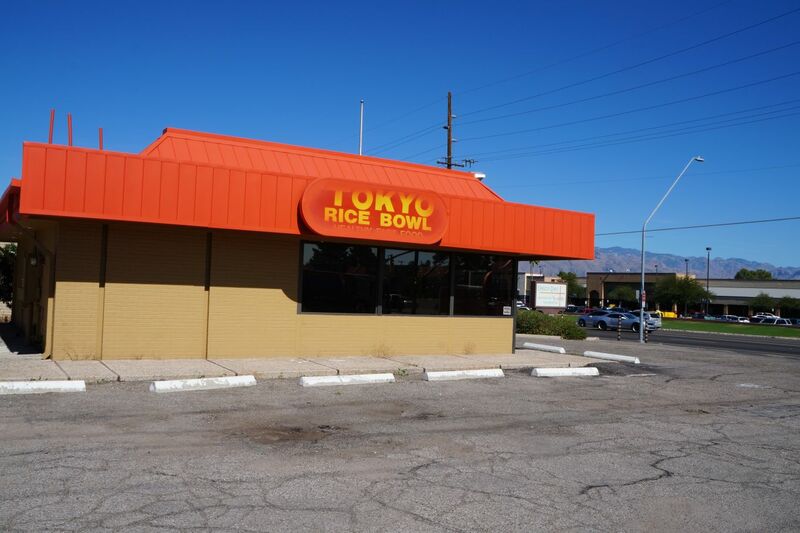 They had a great selection of Chinese and Japanese dishes for fairly cheap. Not to mention the portions were pretty big and they prided themselves on serving up super fresh and super tasty food...which they did. Then one day corporate American came knocking at the door. Kinda of like Cali Grill (okay totally like Cali Grill) one guy took the orders then he went in the back and cooked them. And, again, food took a long long time to get to you. The last time we were there a few customers were in front of us and they looked pissed. "How long is this going to take?" someone asked their friend. "No clue. So sorry. I hope the food is worth it." It was but...jeeze! At what cost? So we ordered our fried rice and yakatori chicken and, yep, we waited and waited and waited. And its not like they have a bar or some kind of entertainment (not even a TV), so we just stared at our phones and let out a sigh now and then. The guy was nice, always was; big smiles, lots of "Thank you, thank you!" as he handed you the food, but it became really apparent that folks were lining up at the bigger hitters on Campbell Avenue. So the day when we drove by and saw that his sign was taken down and a lock on the front door was applied we let out a disappointed "Aww man" and wished the little man who ran the place best of luck. So we hope you are doing well Tokyo Rice Bowl guy. You were always cool and your food was always awesome. Now you can still get Luke's sandwiches at their other three locations, but this one was close to the house so there you go. This, to us, was hangover food. It was big, greasy, meaty and served up by big meaty and greasy dudes. The fries were amazing; think crinkle cut potatoes that were always crispy and hot. The sandwiches reflected on the employees and customers. Generous portions of beef on soft rolls served up with hot peppers and the like, when you were hurting from a long night of booze guzzlin', Luke's was the place to go. Then after 23 years of being in business at the Ft. Lowell location, they just shut their doors and moved on. We suppose the other sites were doing far better seeing as this one was kind of in the middle of nothing so you had to make a point of traveling there to get the goods. It was a fun little stand, no pretension, just an honest hot dog, burger or sandwich for an honest price. Mind you, it was never our super favorite place. We like a lot of other sandwich shops over Luke's. It could sometimes be a bit heavy, drippy and kind of fatty, which is what you want when you are hanging over, but for a normal lunch we would pass it by knowing we would be sandwich baby'd by the late afternoon. And if you got things to do, you know, like work and stuff, having a shovel load of beef and spicy toppings sitting in your belly doesn't make for mega conductive productivity. All you want to do is food nap. But the other locations are doing fine so...there's that. Okay. Here is where we can get a bit snippy, nasty if you will. As you know we always like to stay positive on this blog. Even the places we make fun of for being so crappy, we never say their name or get too hostile. We've only been there twice, but both times? Yeah, not so much. Our first experience involved buying a Groupon for the place, like $10 gets us $20 off of our next visit or something. Sure, fine. We have discovered a bunch of decent places by using services such as Groupon. Some good some the opposite of good. 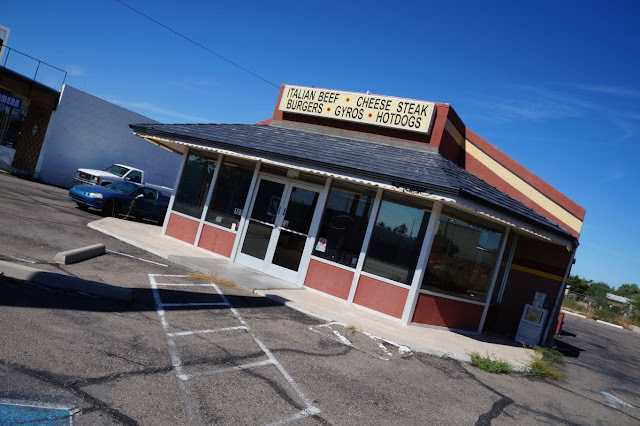 We were hoping that a restaurant that has been open for 55 years did so by the merit of their cuisine. So we popped in for lunch and ordered up a good supply of stuff. Bland, flavorless, over cooked beef, dry chicken; none of the items we ordered we enjoyed. The place was pretty packed though. And it was huge! Room after room of tables and chairs with a bustling service staff delivering heaping plates of...crap. Years go by and we were in the neighborhood of La Fuente running errands. They have (had) a lunch buffet so we thought let's give it another try with the buffet seeing as we were really hungry. The beans were crusty, the lettuce wilted, the taco shells chewy and to make matters worse the lunch buffet was not cheap. We ate enough so we weren't cranky anymore and then left only to get food about an hour later somewhere else. That was two strikes and we didn't want to go back for thirds. Then in 2014 it closed. 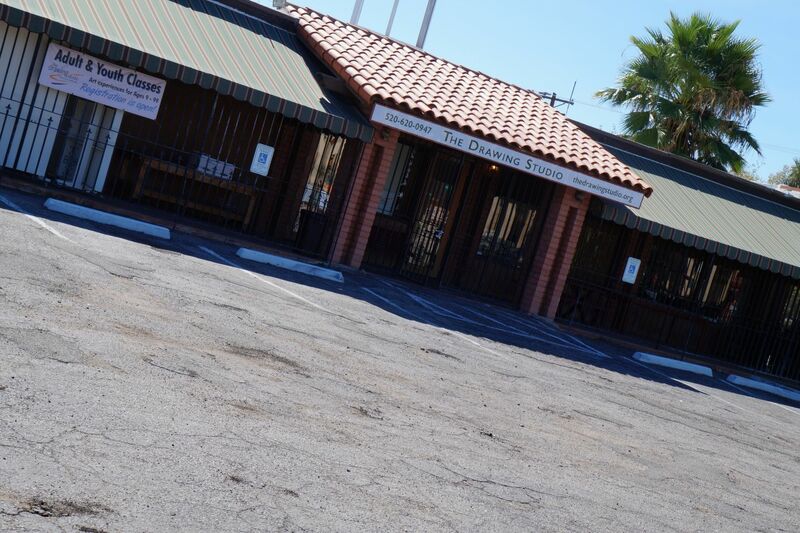 They re-opened in Sierra Vista and we sincerely hope that location has stepped it up as far as the food is concerned. But we highly doubt that we will make the trek out there to find out. Plenty of amazing Mexican restaurants in our vicinity and just on the outskirts of. Hey, at least these places tried. And we tried them all. Liked most, and some we wont miss, but operating a successful restaurant in Tucson is not an easy undertaking. Go ahead, give it a shot. We'll stop by to see what's up. Mark,I have to disagree about Orenccio's. It was bad food. The sign was there for ages before they opened. My ugess is they didn't pay the rent. As for as some of the others ie Luke's - the guy was done. He wanted out after a long,long time. With Ted's it's the proverbial new owner syndrome. They buy the place because they think they got a moneymaker and then proceed to drive it into the ground. LaFuente also had new owners who blamed the economy. No Rita its cool...please dont shut up. Its funny because we, my buddy and I, liked Orenccios enough and thought they would get better. No big loss. I can totally understand about the Luke's owner, that location was a pain. 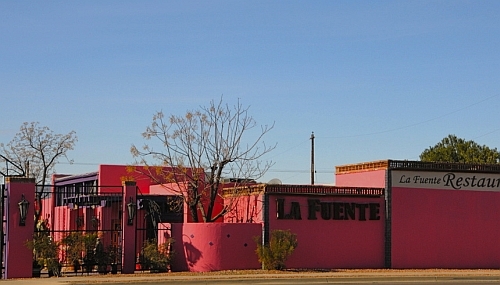 But, man, I really hated La Fuente. Sorry to use the H word but....ugh. Thanks for reading and commenting. I really appreciate it!